Several countries celebrates Armed Forces Day in honor of their military forces. In the United States, Armed Forces Day is celebrated on the third Saturday in May. It falls near the end of Armed Forces Week, which begins on the second Saturday of May and ends on the third Sunday of May. There are a lot of crafts children can make in honor of Armed Forces Day. Some craft ideas are the American Flag, Military Dog Tags, and Pride Pins. The most popular American Flag craft for children is made from craft sticks, construction paper, glue and acrylic paint (red, white and blue). It's pretty simple really, all they need to do is glue 8 craft sticks on to the construction paper and paint the craft sticks red and white (4 sticks red, 4 sticks white). Once dried, paint the first half (left side) of the first 4 sticks blue. Once the blue is dried you can use star stickers for the stars. 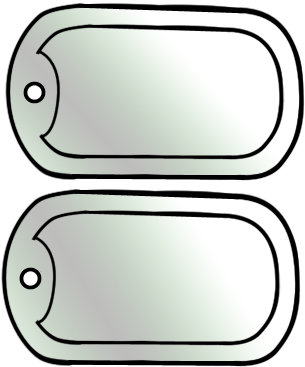 Children can make their own Military Dog Tags from a aluminium pie pan and 18 inches of ball chain, they will need an adult to help them with this craft. Another fun craft is making pride pins from safety pins, satin cord and pony beads too. 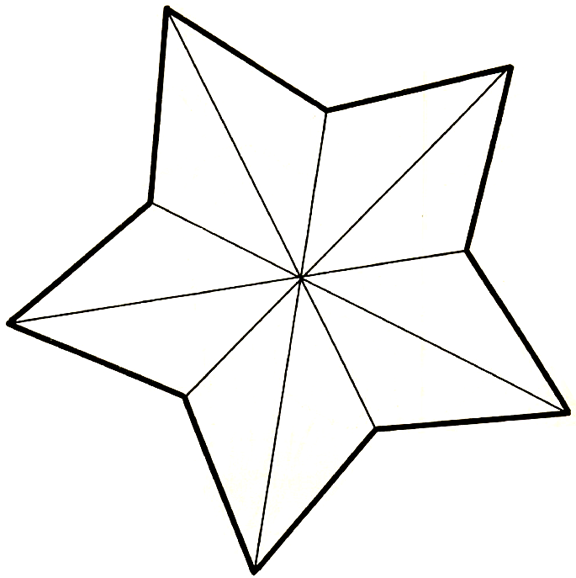 First of all, print out this pattern for a 5-Pointed Star. Then cut the paper star out. Then fold on the inner lines of the star. You will see that the star now looks 3-dimensional. You can either paint or color the star gold or you can cover the star with paste and then sprinkle with golden glitter. 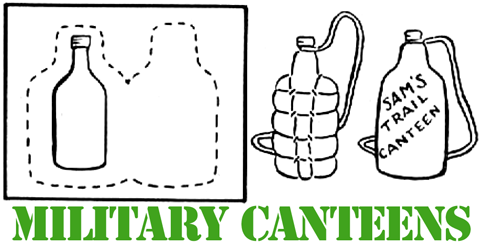 To make this Army or Marines canteen, you will need a clean screw-topped bottle (syrup bottle with small handles is excellent), several thicknesses of newspaper, 1 large piece of heavy brown wrapping paper, scissors, a piece of lightweight rope long enough for large handle, pencil, Scotch tape, string, and Mod Podge or shellac. Lay bottle on a newspaper and trace. Remove bottle and make a 1" outline around the pattern. Trace pattern on several thicknesses of newspapers and heavy wrapping paper (with one side on a fold). Cut out. Tie rope around neck of bottle (or to handles of syrup bottle) and determine length by measuring for shoulder strap. Place thicknesses of newspapers around bottle and tape. Tie papers securely. Wrap bottle in heavy wrapping paper and seal neatly with tape. Fold ends at bottom and around neck of bottle. Write name on canteen then use shellac or Mod Podge. Here is a great way to support our troops...and also a great craft for kids who strive to be in the Army, Navy, Marines, Coast Guard, or Air Force. 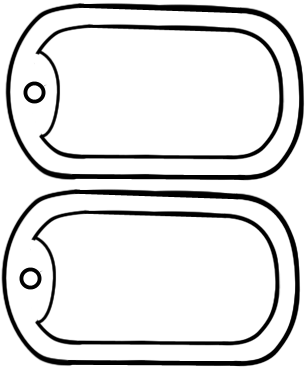 Print out this black and white or color pattern / template. Then trace it on to cereal box cardboard and cut it out as seen in picture #2 above. Then either glue the template onto the cereal box or paint it. Let dry completely. Then Use a fine-pointed Sharpie marker to write last name, then first name, and then your phone number (or other piece of info). Wear your dog tags around your neck...you could use a necklace chain, a cord, or string. (Optional) You can use a paint brush to put Mod Podge on your dog tags so make sure they last longer ...a few coats should do. 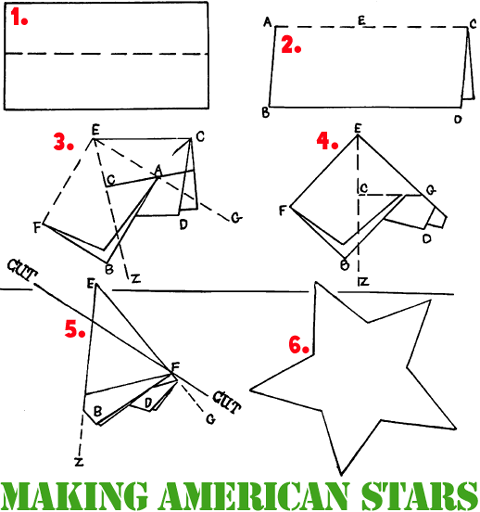 To fold a perfect American star, fold a piece of paper in half lengthwise to determine point E. There fold point A toward G, so point A is above point C. Then fold point C over the first fold and crease it against side EA. Be careful not to crease fold EA. The fold side EF to meet the opposite edge. Crease. Then cut from point F to 1/3 from point E.
Soldiers in Parachutes - To celebrate all that soldiers do protecting our peace, make these toy soldiers with their napkin parachutes. American Flag made from Perler Beads- These beads fuse together when you iron them. You can make these American flags pretty easily by using our template...make these to celebrate the Armed Forces. Uncle Sam's Hat - Show your patriotism by making this Uncle Sams Hat out of an oatmeal container and a paper plate. Colonial Tricorn Hat Badge - Remember the Revolutionary War with these clay tricorn hats. Toy Parachutes with Army Guy - Use a little army guy and make this toy parachute to attach to him. You can throw it into the sky and watch him or her fall slowly to the ground. Perler Bead American Flag Keychain - This is a simple cartoon American flag...celebrate the Armed forces by making it and bringing it everywhere with you.